The U.S. Consumer Product Safety Commission and Health Canada in cooperation with Woodstock Percussion Inc., of Shokan, N.Y. announced a voluntary recall of about 9,400 Gripper Shaker musical instrument in the U.S. and 700 in Canada . The handle can detach from the shaker, exposing a rough edge and posing a laceration hazard. The detached handle also exposes small steel pellets and a plastic plug which pose choking hazards. The company received one report from a consumer that the handles on two Gripper Shakers detached. No injuries have been reported. The shakers are plastic musical instruments, 5.5 inches long, with rounded, egg-shaped tops containing steel pellets and open circular handles. They come in blue and green and are sold separately. The marking “B4” is printed on the rounded top of each shaker. 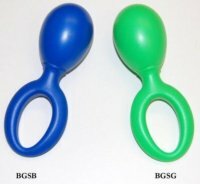 Gripper Shaker musical instrument was sold at Mail-order catalogs, websites and retail stores nationwide between August 2010 and March 2011 for about $5. It was manufactured in China. 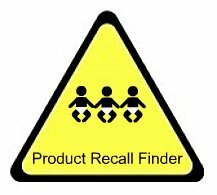 Consumers should stop using the product immediately and contact Woodstock Percussion Inc. to receive a $7 refund.